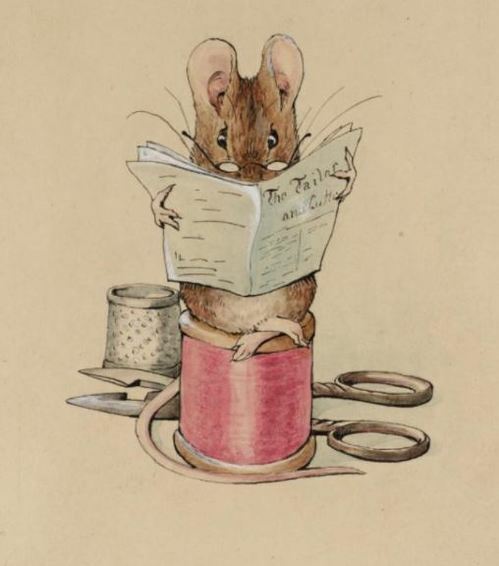 The Beatrix Potter Society hosted a three-day symposium this past weekend at Connecticut College dedicated to discussing various Potter archives and biographies in an overall appreciation of the creator of beloved classics like The Tale of Peter Rabbit and The Tale of Jemima Puddle-Duck. Connecticut College’s Betsy Bray and Kathy Cole coordinated the event, which was two years in the making. Most participants hailed from libraries and institutions across the United States and Great Britain, though the group maintains a robust membership in Japan, where Peter Rabbit and a taste for British wit are hugely popular. The symposium kicked things off Friday with an opening reception at the Shain Library. Honorary Chair Linda Lear welcomed participants to her alma mater and to the Linda Lear Center for Special Collections and Archives, which opened in 2008 and now houses her research collection on Beatrix Potter. Last year marked the 150th anniversary of Potter’s birth, and with it came a flurry of academic and commercial publications, inspiring a spirited examination on Saturday (moderated by Lear) devoted to the many biographies of Potter and their virtues. Incidentally, Lear is the author of Beatrix Potter: A Life in Nature (2007) which was reissued last year in time for Potter’s sesquicentennial. Fellow Connecticut College alumnus and University of Delaware Senior Research Fellow Mark Samuels Lasner was one of the weekend’s featured speakers and discussed the corpus of Potter bibliographies. Lasner recently donated his own 9,500-volume collection of British literature and art from 1850 through 1900 to the University of Delaware. Collector Selwyn Goodacre also spoke at the symposium. A retired physician, Goodacre collects American “unauthorized editions” of The Tale of Peter Rabbit and has every printing of the book, which numbers over 150. Goodacre is a regular at these events: he’s attended every biennial conference in England since the society’s inception in 1980 and has spoken at four of them. Beatrix Potter Society Chairperson Rowena Godfrey talked about Potter’s continued relevance in 2017. “[Potter] was a fascinating, complicated, and contradictory person, and those qualities appeal to casual readers, serious collectors, and professional archivists. Her books remain immensely profitable, so she remains in the public eye, and her archives continue to foster rich study. Her life and her work offers so much to so many people, and oddly enough, the one person who would hate this would be Potter herself.” Perhaps some part of her would appreciate so many people dedicated to the curatorship and protection of her work and bequests. The Beatrix Potter Society hosted a three-day symposium this past weekend at Connecticut College dedicated to discussing various Potter archives and biographies in an overall appreciation of the creator of beloved classics like The Tale of Peter Rabbit and The Tale of Jemima Puddle-Duck. Connecticut College's Betsy Bray and Kathy Cole coordinated the event, which was two years in the making. Most participants hailed from libraries and institutions across the United States and Great Britain, though the group maintains a robust membership in Japan, where Peter Rabbit and a taste for British wit are hugely popular. Last year marked the 150th anniversary of Potter's birth, and with it came a flurry of academic and commercial publications, inspiring a spirited examination on Saturday (moderated by Lear) devoted to the many biographies of Potter and their virtues. Incidentally, Lear is the author of Beatrix Potter: A Life in Nature (2007) which was reissued last year in time for Potter's sesquicentennial. Fellow Connecticut College alumnus and University of Delaware Senior Research Fellow Mark Samuels Lasner was one of the weekend's featured speakers and discussed the corpus of Potter bibliographies. Lasner recently donated his own 9,500-volume collection of British literature and art from 1850 through 1900 to the University of Delaware. Collector Selwyn Goodacre also spoke at the symposium. A retired physician, Goodacre collects American "unauthorized editions" of The Tale of Peter Rabbit and has every printing of the book, which numbers over 150. Goodacre is a regular at these events: he's attended every biennial conference in England since the society's inception in 1980 and has spoken at four of them. Beatrix Potter Society Chairperson Rowena Godfrey talked about Potter's continued relevance in 2017. "[Potter] was a fascinating, complicated, and contradictory person, and those qualities appeal to casual readers, serious collectors, and professional archivists. Her books remain immensely profitable, so she remains in the public eye, and her archives continue to foster rich study. Her life and her work offers so much to so many people, and oddly enough, the one person who would hate this would be Potter herself." Perhaps some part of her would appreciate so many people dedicated to the curatorship and protection of her work and bequests.